The October 2014 workshop report can be seen here. For more information about SciColl, visit www.scicoll.org. WASHINGTON -- Scientific Collections International, or SciColl, a global consortium devoted to promoting the use and impact of object-based scientific collections across disciplines, hosted a two-day workshop in October 2014, bringing together some of the world’s leading minds in emerging infectious diseases. Now, participants in the workshop are ready to release their findings and action items in a 12-page report from the workshop. 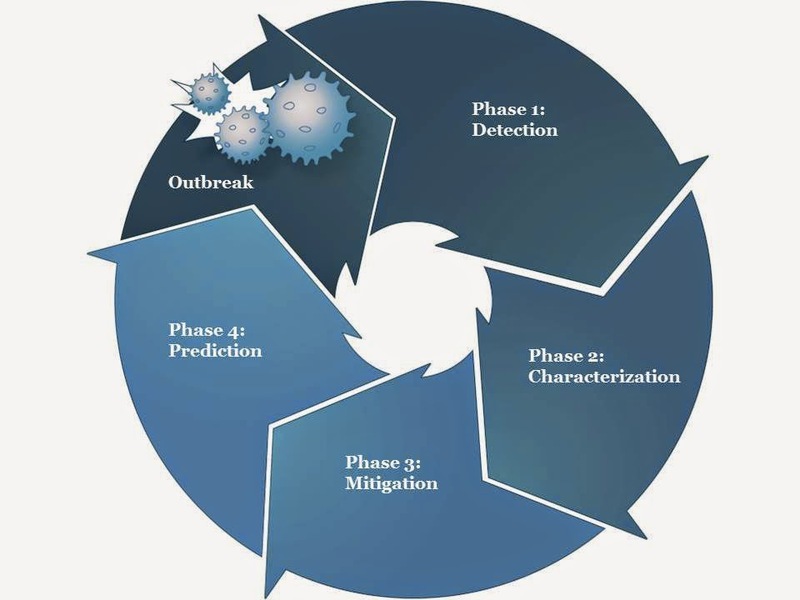 The report highlights various case studies presented at the 2014 event, which looked at disease emergence, detection, mitigation and prediction, as well as recommendations for use of scientific collections in disease and interdisciplinary research. “I think the most exciting thing about the meeting was to see the different disciplines coming together, across scientific collections and emerging infectious diseases, and watch the excitement and realization build as to how intrinsic specimen collections are to each phase of the infectious disease cycle,” said Diane DiEuliis, acting deputy assistant secretary of the Office of the Assistant Secretary for Preparedness and Response, U.S. Health and Human Services. After listing the various unmet needs of the disease outbreak cycle, the report’s authors and workshop participants consider potential action items, such as creating a new collecting culture, building an accessible collections system crossing disciplines and inserting collections into international initiatives’ agendas. DiEuliis, who managed a diverse portfolio of neuroscience research at the National Institute of Health prior to working in federal policy, has seen first hand the benefits of scientific collections in research. “Without brain banks established over the decades, we would not have nearly as much information that we now know about diseases like Parkinson's and Alzheimers,” she said. Furthermore, SciColl is urging its workshop attendees to help implement the action items through various avenues, including disseminating the report with fellow colleagues, attending conferences and, high on SciColl’s objectives, collaborating across disciplines and with other agencies and initiatives. Held at the Smithsonian’s National Museum of Natural History in late October 2014, workshop participants across multiple disciplines - including collections specialists, medical doctors, public health officials, wildlife experts and others - were able to discuss scientific collections’ role in the disease outbreak cycle and research. The report can be viewed on SciColl’s research initiative’s page via the events tab. For more information about SciColl, visit www.scicoll.org. The report is posted at http://scicoll.org/scicollpubs/EID_2015March.pdf.